As solar becomes too mainstream with passing time, it is gradually becoming economically viable to install a solar system. However, to boost solar adoption across the country various state governments announce subsidies from time to time, to encourage consumers and producers alike. In the latest of this kind, the Goa State Solar Policy has approved an amendment entitling consumers and producers of solar power to receive a 50% subsidy on capital costs. They were earlier receiving an interest-free loan which was to be recovered in installments, after six months from the time the power flows into the grid. 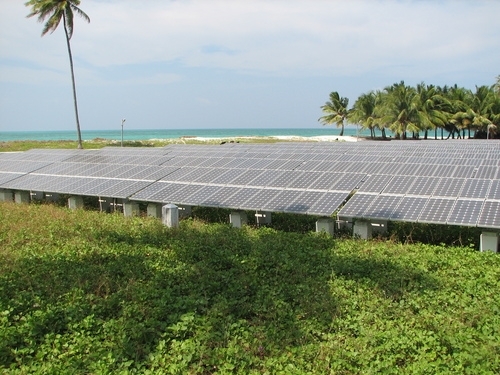 Goa has been pursuing solar power aggressively given the high amount of solar radiation it receives. A single-window clearance portal for grid-connected rooftop solar system is already on its verge of being implemented. It will simplify the process further. Consumers will just have to log onto the portal and provide details like email id and mobile number, to start the process. Goa is perceived as a home for a lot of salaried people in India. These people aspire to retire in Goa and the state has been receiving a lot of interest in its real estate market from these buyers. If the state is successful in establishing a strategic solar policy, it could go a long way in solving the state’s power problems in the future and also provide a more reliable and sustainable source of power. In India natural source of sunshine, sun rays easily available, it is one the main criteria which our environment fulfills for solar energy. Government wants most of the people should install solar and utilize this natural energy. Everyone knows solar energy is safe and eco-friendly. Currently more than 1.5 million homes use solar energy and government wants to increase these numbers. Government has set the target to install 227 GW by 2022. To achieve this goal government is promoting solar through subsidies.